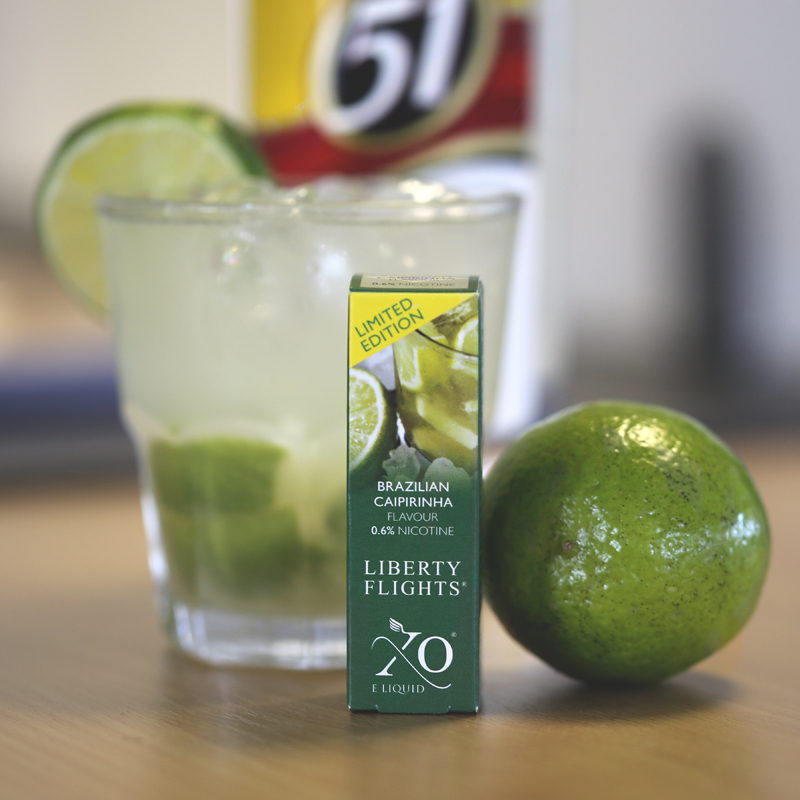 I'm going for a nice Brazilian Caipirinha profile, when I tried the only eliquid I found with that profile it was a huge alcohol punch with a little background of brown sugar, lemon and lime. I know I can improve on that! I've got the sugar, lemon and lime part covered. However I'm "lost" with the booze aroma. I've asked the original manufacturer for some hints and they said they worked with a flavourist to create the alcoholic flavor "by hand", not relying on specific branded aromas. I know for a fact that there are some companies making alcoholic beverages aromas but when looking for them I don't know what to choose. A couple years back I tried a Spiced Rhum (maybe FA or TPA?) and it was not good because of the spiced part, would give a bit of an off note to the mix. On that time I also tried a Tequilla aroma from a company called Mr. Motard, who are the portuguese/spanish branch of the french company A&E. That aroma was perfect and then it just disapeared from the markets. Now I've tried FA Jaggerbomb and FA Gin but those are very subtle on the alcohol. Will now try Atmos Labs Vodka (greek company that sells to Portugal) and some Tequilla or Rhum that doesn't have the spiced part but would like some feedback from you guys on aromas accessible in Europe with a big alcoholic punch so I can work this out. Image for reference, the ejuice pictured was sold only in 2014 World Cup and stopped after that. INW Jamaican Rum: This is probably one of the aromas Inawera changed a year ago because it tastes nothing like rum. It smells and tastes like a Halls Honey+Lemon candy. Strong on the honey, a little mint and a lemony hint in the background and sweetness all around. Atmos Labs Vodka: This is the most exact vodka aroma I've ever tested, maybe because it's the only one (lol) but also because it's very acurate. Smells like a good vodka, not the cheap ones and tastes like that too. Regarding the intended recipe this means I can't use any of the aromas separately but I can use both and take advantage of them each on it's own way. Vodka gives it the alcoholic "touch" but I think 1% might be too low. And the koolada gives it the fresh background on the exhale, although I might add some FW Extreme Ice for the inhale too. Work caught up, then vacations came up and now I'm here ready to try again. Got some tests running and while I can't get any White Rum flavor over here, the most similar I can get is VT Light Rum (or maybe Gold Rum), which should have enough "punch" for my goal. And while that doesn't arrive, we'll be mixing with what we have. So yeah the recipe got changed a bit and the percentages work better together now. FW Extreme Ice doesn't work in this recipe because of the specific flavor it has. Gives this some pretty nasty off-notes. But WS-23 works a lot better, the back freshness is gone and now there's freshness all through the mix. 1 to 2 days steep.